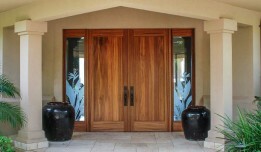 Welcome to Paradise Millworks & Hardware, Inc.
For over 20 years we have been here to help you pick the best woods, craft door and window systems, and choose hardware to best suit your needs. We take pride in our quality craftsmanship and build to last through even Hawaii's extreme weather. Quality hardware that meets your design and functional needs. Discover how our high caliber of custom millwork is reflected in our attention to detail. Helping you make educated choices in fenestration and finish hardware. As our name implies we deal in specialty hardware and custom millworks. Our business is formed around the idea of quality products that last. Our environment in Hawaii is unique in that the salt air and the trade winds will often make your standard product subpar because it cannot withstand the harsh conditions. Because of this we have sought out the highest quality products so that they endure; from high grade stainless steel to Hurricane Glass to insect resistant hardwoods. Our experienced staff will help you make educated choices, guiding you from start to finish through your projects. Serving the Hawaiian Islands for over 22 years, we are a local business located on Kauai. Our mill is dedicated to manufacturing doors and windows; we also offer a variety of milling services. Come visit our showroom and see our many displays of locksets, Lift & Slide units, bi-fold units and more! Here at Paradise Millwork and Hardware we are committed to always bringing you.. 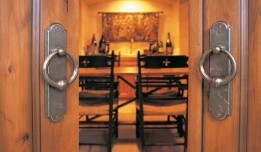 I have worked with Paradise Millwork & Hardware for over fifteen years. For all of our projects we demand the very finest workmanship; that is exactly what we get from Paradise every time. Jack LoCicero and his staff deliver first quality work from the always critical shop drawings through job site delivery of the completed windows, interior and exterior doors and hardware. I wouldn’t use anyone else. — RS Weir, President & CEO, RS Weir General Contracting Inc. 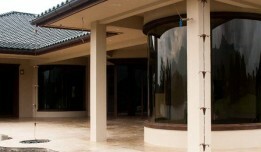 If you are an architect, builder or owner building or designing a home in the Hawaiian Islands and require truly custom wood windows, doors and screens, Paradise millworks should be you’re first and foremost outlet. Their professionalism, integrity and quality are unequaled in today’s market. Their design and fabrication capabilities are limited only by your imagination. I have personally ordered and installed (on schedule) several hundred custom units on multimillion dollar projects without a single complaint.